Designed for the gourmet and for entertaining this beautiful custom home is conveniently located in the gated Falls at Champion Forest. It offers a spacious 5 Bdrm/ 4 bath floor plan flowing around a private outdoor space that includes a salt water Pool, spa, covered Patio and outdoor Kitchen. For privacy the 1st floor Master suite with generous closet is separate from the Guest bedroom. The Kitchen is stocked with stainless appliances – 6 burner gas Range, built-in Refrigeration – and the enormous island/breakfast bar opens to the Breakfast/Family areas. All overlook the pool area through walls of windows. There is also a Study with custom built-ins and a Serving/Wine Bar with glass cabinets, refrigerator and custom wrought iron gate. Media and Game rooms on the 2nd floor are steps from 3 added Bedrooms. Recent updates: Roof (’16), AC units (’18), Pool Replastered and retiled w/blue quartz tile (’17), replaced pool heater and filter (’18). 3 car Garage and so much more to see! Please, send me more information on this property: MLS# 55977454 – $730,000 – 16607 Churchhill Falls Court, Spring, TX 77379. 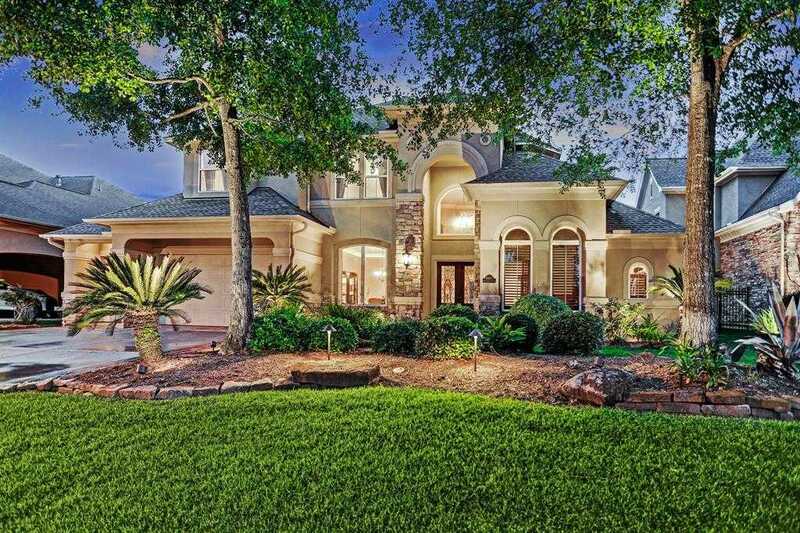 I would like to schedule a showing appointment for this property: MLS# 55977454 – $730,000 – 16607 Churchhill Falls Court, Spring, TX 77379.